Symantec Endpoint Protection 14 (SEP14) is a complete enterprise endpoint security solution for networked laptops, desktops, and servers, designed to protect your business without slowing down end users. It provides maximum multi-layered protection against any king of threats by featuring an artificial intelligence fused with next-gen and essential technologies - which result with minimal false positives. 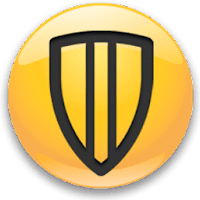 Symantec Endpoint Protection 14 is designed to address today’s threat landscape with a comprehensive approach that spans the attack chain and provides defense in depth. Symantec collects threat insights from over 175 million endpoints and 57 million attack sensors across different organizations, industries and geographies. That all adds up to more than 3.7 trillion rows of security-relevant data. Note: the tools tools included with Symantec Endpoint Protection are listed on Symantec Article. Disclaimer: Direct downloads for the lastest version of Symantec Endpoint Protection 14.0.2412.0200 are provided by the official software's author, we can't guarantee safety, availability or download speed. Moreover, we don't and we won't provide any pirated/illegal versions or tools. We recommend you to avoid it as these methods can harm your device. If you like the software, buy it to support the developers. (We provide software discounts for many worldwide brands).